1Over 15 Years of Amazing Results! 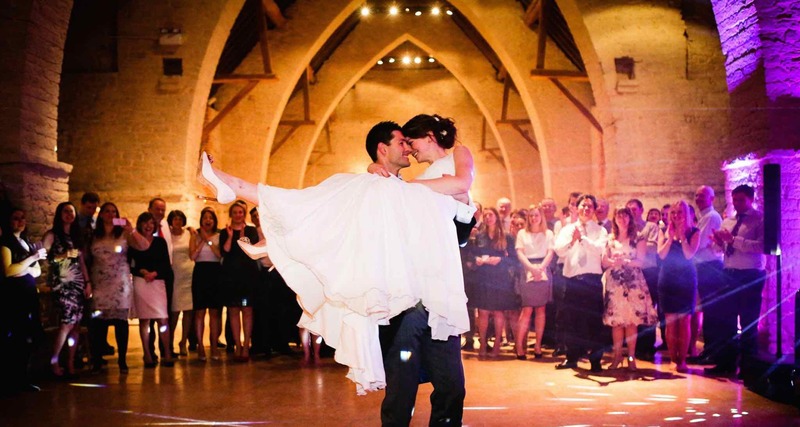 6An Amazing Range of Optional Extras; Up-Lighting, Monogram Projection, Large LOVE Sign, PA Hire, and much much more! 7He Will Make Your Event a Hassle-Free Success -Guaranteed! If you are looking for the cheapest mobile disco I am probably not the right entertainment for you. Our exceptional discotheque services will make your event unforgettable, fun, and amazingly successful. I will help you create the best event ever, or I will refund your money – Guaranteed. Chris and I wanted to send our thanks for your fabulous DJ’ing at our wedding at Warbrook House. You were so right when you said you would rather trust your instincts and play what suited our guests… and thank you for playing all our requested songs throughout the night too. So many of our guests commented on how great the music was and your set looked fantastic too, very classy and chic. You pitched it exactly right with a mixture of old and new, just how we wanted it. 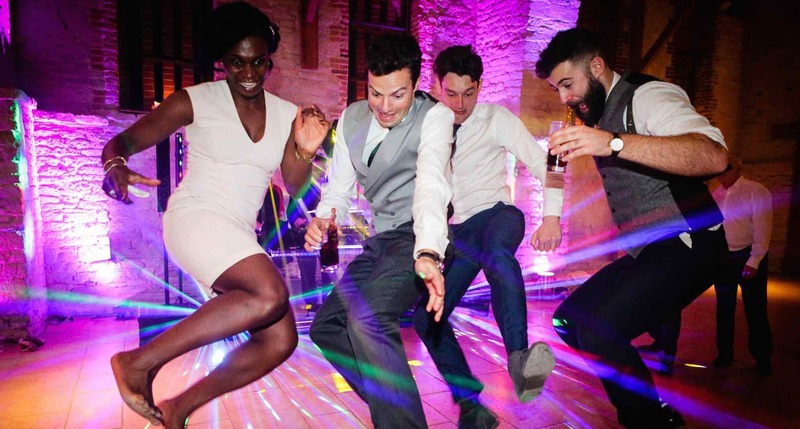 We will never forget dancing to Daft Punk on the day of our wedding, a personal favourite of Paul’s, but mixed in a creative way to keep everyone on the dance floor. Thank you so much, we would not hesitate to book you again for future parties! Oh it was fun, I absolutely loved swishing around in my big dress to the tunes and watching the lights from the glitter ball bounce around the barn, it really was quite magical. We have loved every step of planning our big day and met such wonderful people on the way. Ashley, it has been a real pleasure meeting you and Sue and we both wish you a long and happy future together too. Thank you so much for such an amazing evening! I really loved all of the uplighters and the music you played kept everyone dancing all night which is exactly what we wanted. Everyone commented on how great the music was so we definitely will not hesitate in recommending you to anyone. Chris and I wanted to send our thanks for your fabulous DJ’ing at our wedding at Warbrook House. You were so right when you said you would rather trust your instincts and play what suited our guests… and thank you for playing all our requested songs throughout the night too. So many of our guests commented on how great the music was and your set looked fantastic too, very classy and chic. My apologies for my rather mental mother and horrendously drunk Aunty (who can usually deliver singing the Flower duet with her daughter beautifully! )… but we have had a great laugh at their expense and it will always give us a rather amusing memory… I’m sure you have seen worse? Well I hope you have! Emma & Chris. Wedding Reception. Warbrook House. Hampshire. We would like to thank you for providing the soundtrack to our wedding evening. You pitched it exactly right with a mixture of old and new, just how we wanted it. We will never forget dancing to Daft Punk on the day of our wedding, a personal favourite of Paul’s, but mixed in a creative way to keep everyone on the dance floor. Amelia & Paul Dineen. Wedding Reception. Warbrook House. Hampshire. Thank you so much for everything, we had such a lovely day. Sorry we’ve not been in touch before as we’ve only just got back from our Honeymoon. Oh it was fun, I absolutely loved swishing around in my big dress to the tunes and watching the lights from the glitter ball bounce around the barn, it really was quite magical. We have loved every step of planning our big day and met such wonderful people on the way. Janet & Terry Weatherill. Wedding Reception. Tithe Barn. Hampshire. “Hi Ashley, Thank you so much for such an amazing evening! I really loved all of the uplighters and the music you played kept everyone dancing all night which is exactly what we wanted. Everyone commented on how great the music was so we definitely will not hesitate in recommending you to anyone. I’m sure we’ll meet again at another party in the future. Amy & Paul Snook. Wedding Reception. Langrish House Hotel. Hampshire. “Can’t say enough good things about Ashley. Not just as a DJ, as he did a lot more than just that, he partly decorated the room with up lighters too which I’d recommend as it made the room look amazing. His set itself is the most impressive I’ve ever seen, it looks so so professional & very state of art. We didn’t meet Ashley until we got to the venue, we had been corresponding through email right up until the day. He was always so helpful and despite me asking lots of questions he always got back to me with what I needed to know, and always made me feel assured that everything would be OK. This was better than we could ever have dreamed of so thanks for that Ashley. Daniel & Kerry Saint. Wedding Reception. Marwell Hotel. Hampshire. “Hi Ashley, Thanks, and thanks again for being a great DJ on the day. Thanks so much for taking care of the music for our wedding, it really helped make our day so special. We left everything to you and we did not have to worry about anything, from the microphones, lighting, background music, and of course the essential party classics to get everyone on the floor. Ian & Esther Robinson. Wedding Reception. Tithe Barn. Hampshire. “Hi Ashley. We wanted to write to say a huge thank you for your contribution in making the day such a massive success. Loads of people commented on how good the music was, and the fact that you managed to gauge the mood/tempo of the crowd perfectly and play appropriate tunes all night long. Mark & Suzannah De La Haye. Wedding Reception. Hawkley. Hampshire. Jodie & Ben Wallin. Wedding Reception. Rhinefield House. Hampshire. 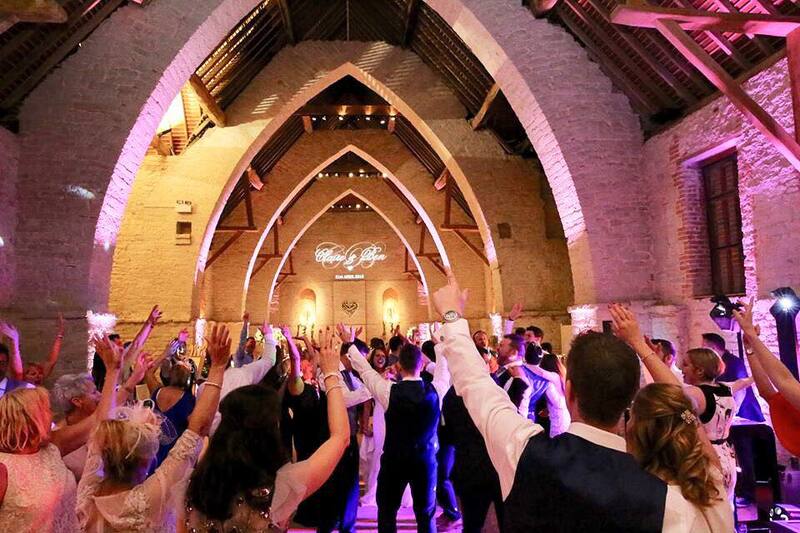 “Hi Ashley, We would like to thank you for making a great day even greater, you entertained everybody and we have been asked by many people at the wedding about your details so maybe we could be seeing you again. I would just like to say that you made the evening very entertaining and we would recommend your services and professionalism. Hailey & Christian Alger. Wedding Reception. Essebourne Manor. Hampshire. “Dear Ashley, Thank you so much for an absolutely brilliant disco!! We had an amazing day and are so pleased with the A-Team that we ended up having. Everyone from the youngest to the oldest enjoyed the songs and I think we had the whole age range dancing so that is in itself a massive compliment! Ellie and Gary Glasspool. Wedding Reception. Manor Barn. Hampshire. 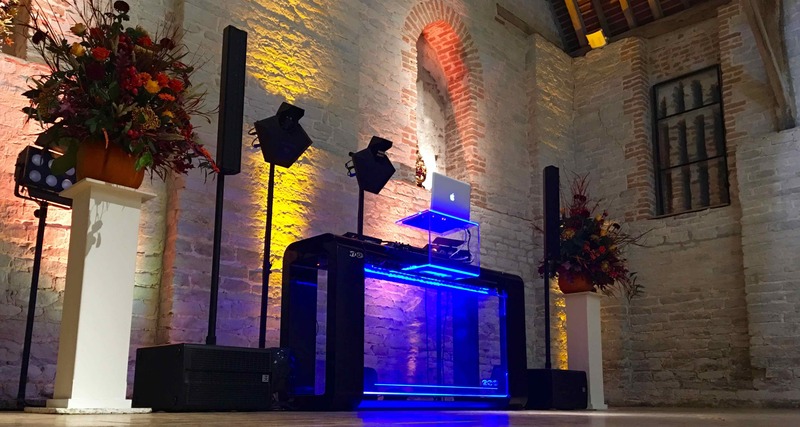 “Hi Ashley, We both want to say a huge thank you for DJing at our wedding, you did a fab job! I didn’t see the dance floor empty at anytime during the evening, which speaks volumes!! The music you played was brilliant, all our guests had a great time as did we. Melissa and Barry Penny. Wedding Reception. Rhinefield House. Hampshire. Levi Roots (Reggae Reggae Sauce CEO – BBC Dragons Den). Hampshire Business Excellence Awards. Hampshire. “Hi Ashley, Just back from honeymoon so first chance I’ve had to write. Thank you so much for the evening, it was a great reception and the music was just perfect. We have had loads of people telling us how great the wedding was and how much they enjoyed the reception. Will definitely put a recommendation up for you. Hannah & Jamie Wilson. Wedding Reception. Solent Hotel. Hampshire. If you have any questions or would like to find out more then please call on 02392 348555 or fill in the form below for a quick response.